Join us after church on November 11 for the opportunity to encourage the learning and education of our Family Promise families who are transitioning out of homelessness! We’ll make learning packets with worksheets, pencils, crayons, and more for the great kids who come through the Family Promise program. See you there! 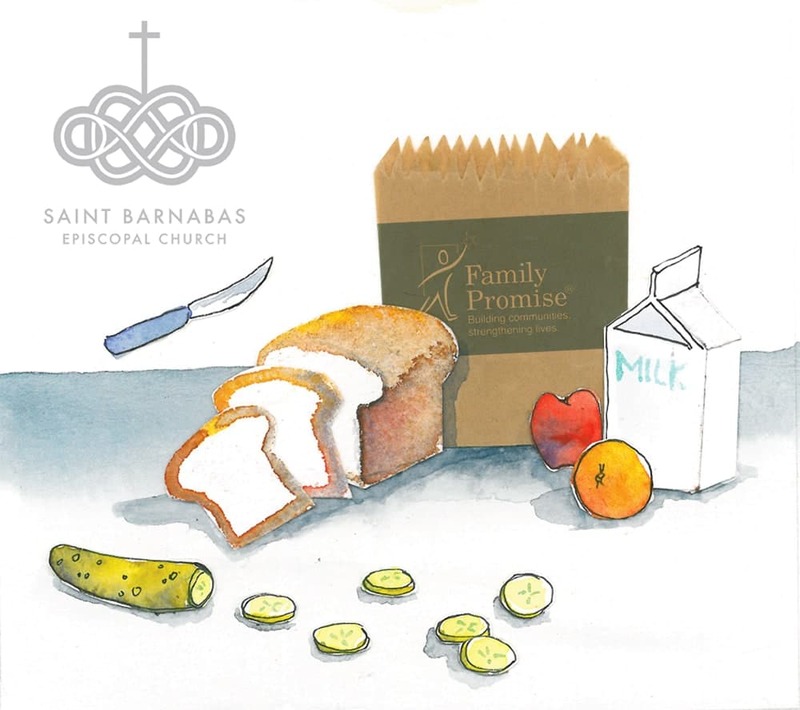 As part of a network of area churches, we partner with Family Promise and host families who are transitioning out of homelessness for a week at a time, 3-4 times per year, right here at Saint Barnabas. During that week, we provide lodging, all meals, and lots of fellowship and encouragement for Family Promise families and their children. Family Promise is one of only a few programs that work intentionally to keep families together as they experience homelessness, and their model has a 70% success rate. We will be hosting families again December 16-23, 2018. You can help in lots of ways: plan and/or cook a meal, donate food, stay overnight as a contact in case any needs arise (we prepare you and give you separate sleeping quarters), bring an activity for children to do, play music or a movie to encourage rest and joy, donate travel sizes of toiletries that families can take with them, or simply be a friend to our guests. Serve and get to know families on their journey back to stability and homeFULness. Find out more ways to serve. click here.